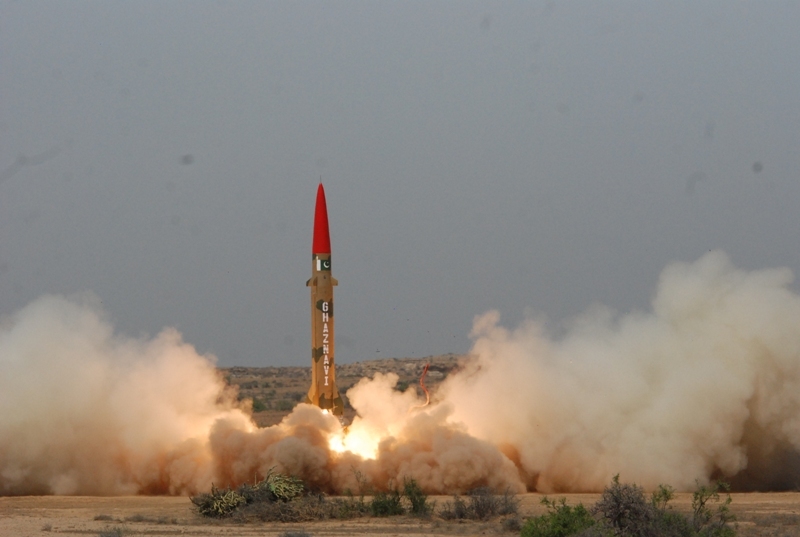 Pakistan today conducted a successful training launch of Short Range Ballistic Missile Hatf III (Ghaznavi), which can carry nuclear and conventional warheads to a range of 290 kilometers. The launch was conducted at the conclusion of the annual field training exercise of Army Strategic Force Command. The exercise was aimed at testing the operational readiness of a Strategic Missile Group. The field exercise of the ASFC was witnessed by the Chairman Joint Chiefs of Staff Committee General Khalid Shameem Wynne, Director General Strategic Plans Division Lieutenant General Khalid Ahmed Kidwai (R), Commander Army Strategic Force Command Lieutenant General Tariq Nadeem Gilani, Commander Karachi Corps Lieutenant General Muhammad Ijaz Chaudhry, Chairman NESCOM Mr Muhammad Irfan Burney, and other senior military officials and scientists. Addressing the troops in the exercise area, the CJCSC commended the troops on displaying a high standard of proficiency in handling and operating the state of the art weapon system. He said that the nation had developed a strong nuclear deterrence capability and expected that the officers and men entrusted with the task of deterring aggression would continue to train hard and maintain professional excellence. He said that Pakistan’s Armed Forces were fully capable of safeguarding Pakistan’s security against aggression. The successful test has also been warmly appreciated by the President and Prime Minister of Pakistan, who have congratulated the participating ASFC troops, the scientists and the engineers on their outstanding success. This entry was posted in ISPR Press Releases, News and tagged AFSC, Ghaznavi missile, Hatf Missile, ISPR, Missile, Pakistan, Pakistan military, SPD. Bookmark the permalink.